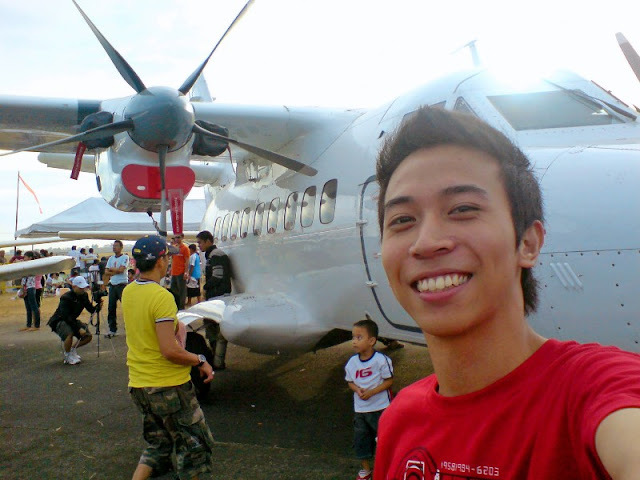 Not Your Ordinary Guy's blog about travel, photography, entertainment, reviews, personal experiences and opinions. I have been using my eyeglasses since college. I only replace the lens every time I upgrade. That was way back in college when I noticed that my vision is getting poor so I had them check and they were measured to have a lens grade of 75-75. To date, I think I now have 150-150, because the lenses that I am using for more than a year now are already 125-125 without astigmatism. Anyway, I might visit my optometrist of these days to ask for an advice on what are the things I need to consider when I upgrade on lenses. I will also look for new eyeglasses frames so I can replace the old one. I heard from a friend that there are great offers online because of the framesdirect.com coupons that can be availed to get discounts and price slashes. I hope we also have something like that here in the country so I can save money when I do upgrades on my eyeglasses. When I am at home, there are just two things that I usually do. It's either I spend my time surfing in front of my PC or I am watching the television. I love doing move marathon especially when I am alone. Thanks to cable TV, I don't have to spend a couple of bucks to buy or rent DVDs. I am quite sure that you probably have heard about the DIRECT TV packages which are a whole lot better than cable TV. I was actually browsing over the web when I found out BlogTelevision.net that offers DIRECTV packages to almost every state in the US. DIRECTTV packages are starting to become the preference of the many because it offers over 130 channels which come in high definition. High definition makes TV viewing experience worth it because of its resolution of one-thousand and eighty (1080) vertical lines making it twice as much compared to the standard television. I recently had a short chat with my friend from the US who's also into blogging and online jobs. We talked about my blog in particular since he knows that I just started it less than a year ago. And because we don't talk that frequently, I grabbed the chance to ask him some stuff regarding web site maintenance and handling, including some technical issues like domain hosting. I remember a few months back, one of my pro-blogger colleagues told me about this cheap web hosting service that offers a lot of benefits that I will surely enjoy. He added that getting a web host is a quick way to increase your site ranking and all. Since I am not really that familiar to these terms, I asked my friend to educate me regarding the many terms and items that involves web site management. When he started lecturing me about it, I was like, "Uh, OK", because I was really impressed on what he taught me. Thanks to my friend because I know am a little familiar with the do's and don'ts of blogging. I might also consider getting my blog hosted in the future as well. I Will Definitely Save the Date! Last week, I received a package in the mail from my friend who is getting married next month. At first, I had no idea what the package was all about. I was actually expecting something like an invitation card but not a small box from her. I quickly opened the box and found that it is a wedding favor in the form of a fridge magnet with two save the date postcards attached through it for me and my other friend who is just two blocks away from our home. I am quite excited and emotional for my friend because in just a few weeks, she will be entering into a new stage in life along with her husband to-be. I will definitely save the date of her wedding day and make sure I will cut all my appointments and project two days before the ceremony so I can be at my most-prepared self. I am looking forward to attending the event! I will post some pictures from the event and the reception, of course. Hopefully by then, I already have a new lens for my DSLR camera. I guess I have to be very strict on my spending from this day forward. This is a Sponsored Post written by me on behalf of Hyundai. All opinions are 100% mine. The Global Green Challenge is one of the world's most renowned when it comes to showcasing and recognizing the many different types of hybrid cars that features alternative energy sources, fuel efficient and most especially environment friendly. This transcontinental challenge aims to promote social awareness as well for the public to get educated about the many different ways to prevent global warming and climate change, which are major threats to the earth nowadays. On the recent Global Green Challenge held in Australia which started from Darwin up to Adelaide, Hyundai's newest Santa Fe R Diesel was declared as the winner. 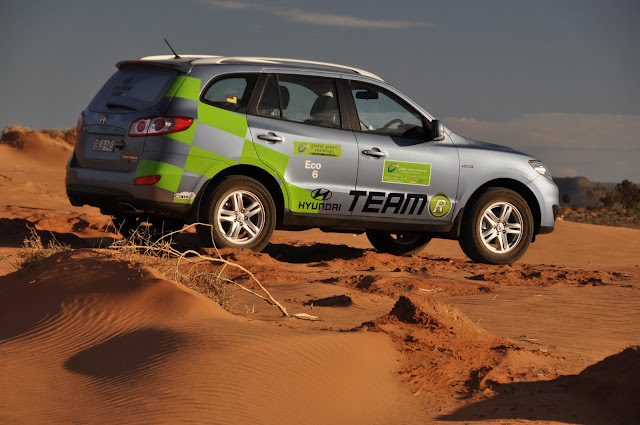 Hyundai's newest addition to the collection of green cars consumed only an unbelievable 160.45 liters of diesel during the 3,147 kilometer challenge. Also, it only emits 137.67 grams of Carbon Dioxide per kilometer which is unbelievably low thus making it eco-friendly. Hyundai's captivating ride was driven by the former Aussie rally star Ed Ordynski and motoring analyst John Cadogan during the competition. The uploaded videos are on Hyundai's YouTube channel and they come in seven episodes. If you've missed the event, you may watch the videos on YouTube so you get to experience yourself how amazing Hyundai's Santa Fe R Diesel car is. This is a Sponsored Post written by me on behalf of Safety Magnets. All opinions are 100% mine. Education is an essential factor when it comes to emergency at home. No one can predict accidents and we should always be aware of the fact that anything can happen at anytime and anywhere. Most of the time, it is always beneficial to have a readily available information at home regarding what to do in case something goes wrong. In line with the coming American Heart Month, Safety Magnets, a premier refrigerator magnets producer has special promotional concept in which you will find very important when it comes to life-saving scenarios and emergency. Safety Magnets Offer a very cool and effective way to spread out information to common first aid situations through their info-magnets. You can even promote your company, logo or business card while spreading out helpful information. Safety Magnets will be offering a limited promotion in which you get to have 50 FREE magnets when you purchase 100 or more. That sure sounds a big treat this February! I have visited the website and seen a lot of positive customer testimonials about the magnets and how helpful they can be at home or in the office. Visit the Safety Magnets store online to avail of this limited offer. 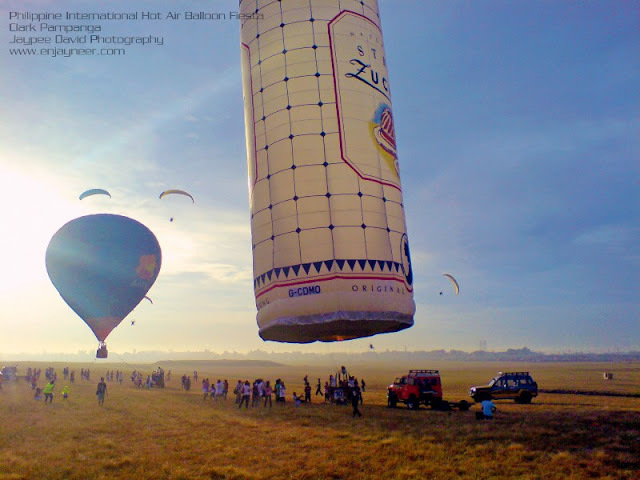 Clark Freeport zone in Pampanga, will again hold its world famous yearly event - The 15th Philippine International Hot Air Balloon Fiesta (PIHABF) on February 11th to 15th 2010. This will be participated by approximately 30 hot air balloon enthusiasts from different countries. Expect also a lot of exciting activities to be held during this event like sky diving and paragliding exhibition, aerobatic flight display, kite flying, plane exhibits and many more. 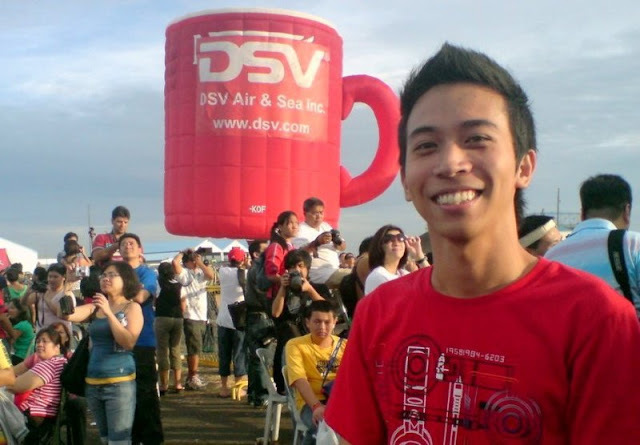 This is one fun and exciting event you shouldn't miss; only here in Pampanga. For more information visit http://www.philballoonfest.net/. Actually, it was just an easy design plan and I knew I can finish it just in time before the deadline that's why I was relaxed and I held on to my horses that long. Right after I was done, I went to the nearest mall and bought ink cartridge for my printer because I had to send them right away to my boss for approval. Guess what? The store has special promotion so I even got a Discount Printer Ink. Because I got a discount, I bought a few more ink cartridges to take advantage of the special offer. So that's about it, I already sent my finished project right into the office of my boss a few hours ago and headed on to the nearest Starbucks afterwards for a sip of my favorite caramel macchiato. I guess today is just my lucky day that is why I am attracting all the positive vibes.